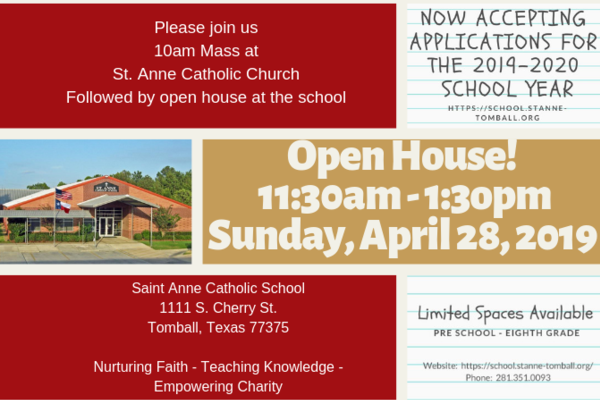 The Crusade Annual Stewardship Program positions Saint Anne to sustain affordable tuition rates, while at the same time realizing school improvements in facilities, technology, and teaching resources. The Crusade is a commitment to Innovation and Excellence, grounded in Tradition and Faith. We welcome visitors to our school and encourage tours to see the teachers and students in action! Please call the school office (281.351.0093) in advance to schedule a tour.